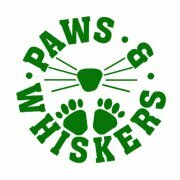 Paws & Whiskers is an established boarding kennel and cattery located on 6 acres of fully landscaped gardens at Berrinba in Brisbane - Logan. We have years of experience in breeding Show Saluki dogs, Siamese and Oriental cats - so we know what makes our special four legged friends happy! We understand that deciding to board your pet and selecting the best place for them to stay in Brisbane is an important decision for your family. You want the best care from people who are experienced, able to handle any situation and more importantly, from people who know your pet is special! Bowhill Pet Resort customers welcome!! To provide first class, expert and customised care for your special pet; and to make your pet’s holiday enjoyable, happy, healthy and safe so you can enjoy a worry-free time away on holiday or work. Why stay at Paws & Whiskers? At Paws & Whiskers boarding kennels we love animals and it is our pleasure to make your dog's stay with us in Brisbane both happy and enjoyable. Our kennels are architectually and vet designed and are purpose built to provide the utmost cleanliness and comfort for your special pet. At Paws & Whiskers we know and love cats! We know they can be fussy – some like lots of attention while others like to be left alone. We cater for all of your cat's needs and more! Our cattery is purpose built by architects and vets to ensure that your cat's stay with us is both comfortable and safe. Closed on Christmas Day, New Years Day, Good Friday, Easter Sunday and selected Public holidays.